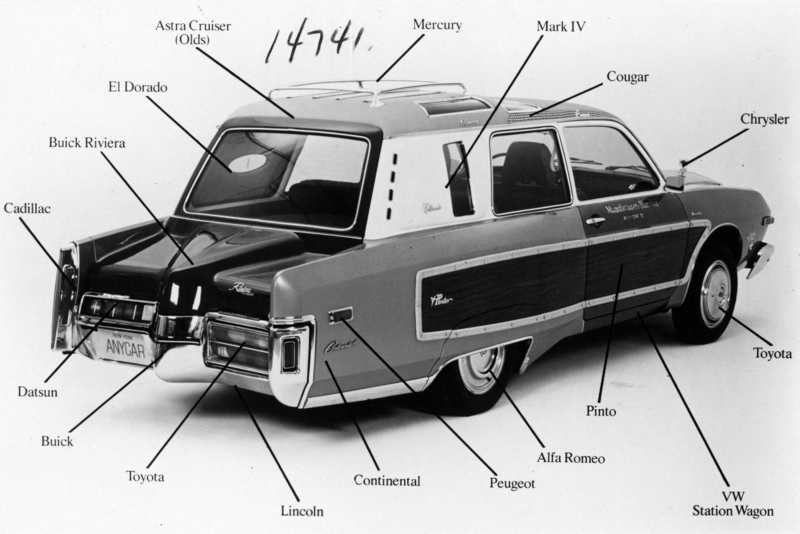 Mixing parts of different cars in one project has always been the basis for creating hot rods. The goal is quite simple: install a much more powerful engine in a smaller car to drive faster, or use a bumper and grille from another model to look cooler. 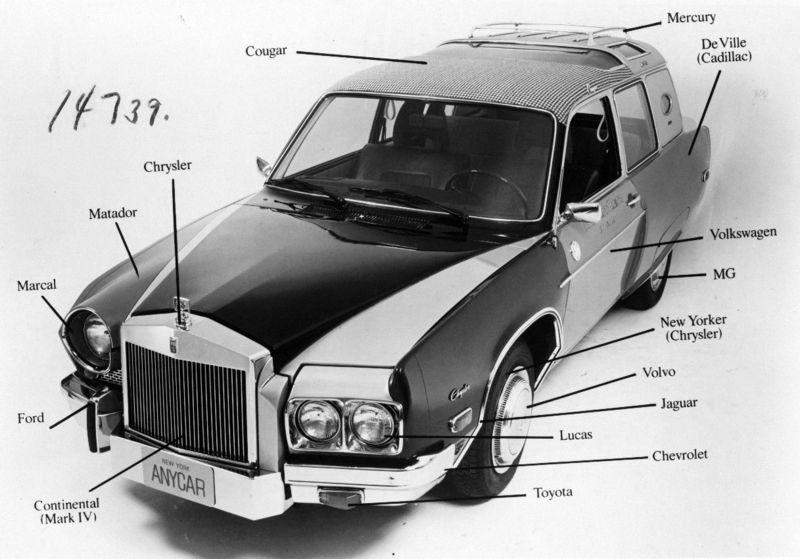 However, for several cars made in the 1970s, mixing parts was the main goal. 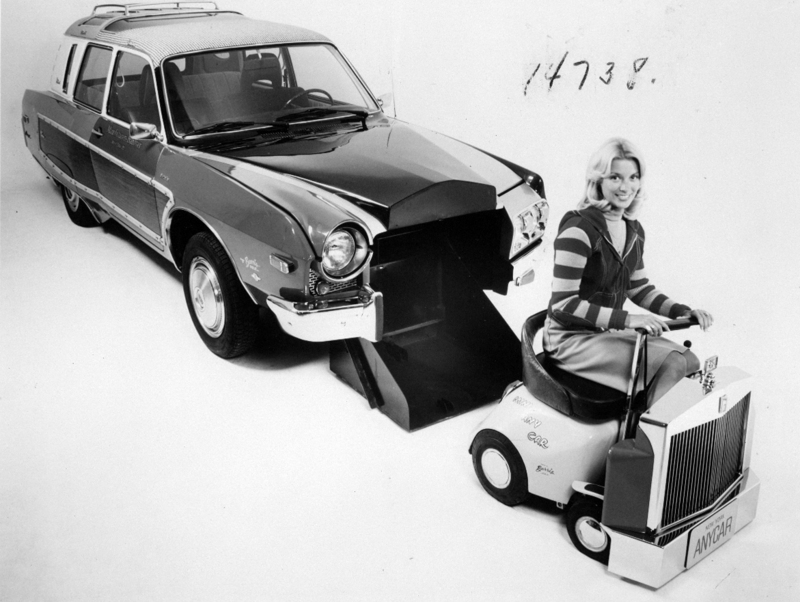 One of the greatest example is the AnyCar. 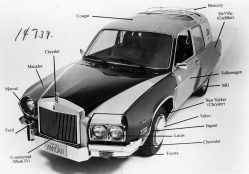 The creators tried to use in appearance as much as possible elements from different cars. Three different models were made: AnyCar I, AnyCar II and AnyCar III. 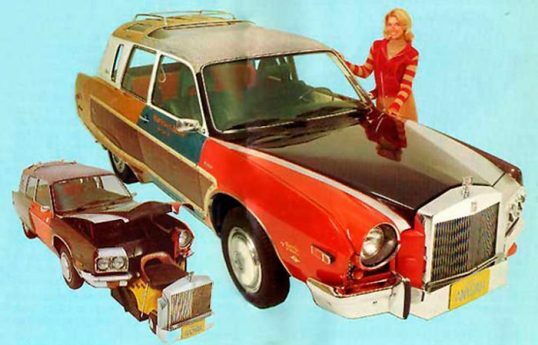 They were created for shooting commercials of Manufacturers Hanover Trust New York Bank, which in the early 1970s wanted to promote its car loan program. The first AnyCar was made in 1971 and collected elements from Ford Falcon, Chrysler 300, Volkswagen Beetle and many other cars. The second car used parts from 40 or 50 cars, starting with the 1929 sedan, which made up the main body. But the most interesting for us is the AnyCar III, which had one very interesting option. 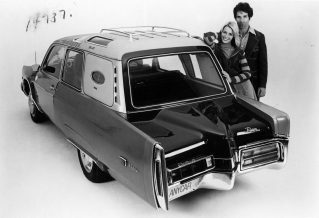 Made in the mid-1970s, the third and last AnyCar III was created by a famous customizer George Barris. 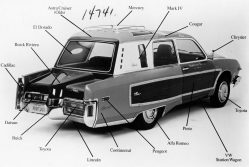 It is made on the basis of the Volkswagen station wagon of 1974, with an admixture of elements from about 40 other cars (Cougar, Mercury, Cadillac, VW, MG, New Yorker, Volvo, Jaguar, Lucas, Chevrolet, Toyota, Continental, Ford, Marcal, Matador and others). It was completely asymmetric, and no specific component is dominant, and you simply cannot find two paired elements. 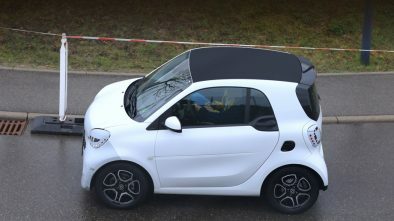 Under the hood, there wass a tiny Mini-AnyCar electric car just 0.68 meters wide, designed for traveling short distances. At the touch of a button it automatically lowered out of the main car along with a Rolls-Royce grille. 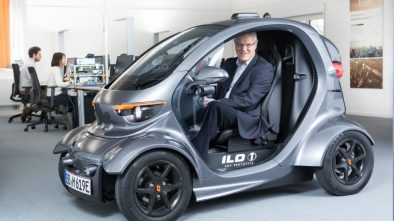 “A car for all times” does not pollute the environment and minimizes the fuel crisis and traffic problems in urban areas. Its overall dimensions are 760×680×610 mm. Weight – 135 kg.